Ceramic Clove Lamp with Soft Back Shade - 13x13x21.75? CLOSEOUTS. 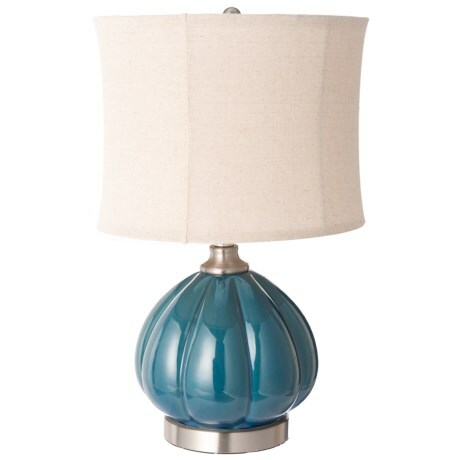 Beautify your living space with the elegant charm of this Destination by Regina Andrew lamp, complete with a ceramic clove base and soft back shade. Available Colors: TEAL/OATMEAL.